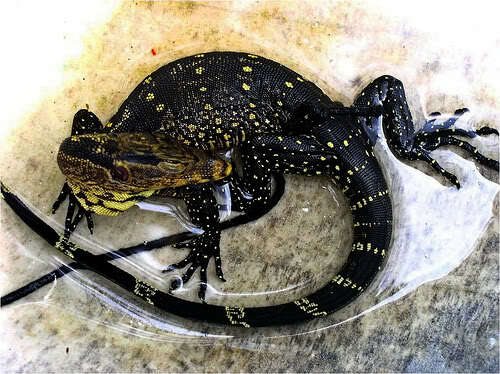 A cargo container at Davao City International Airport was discovered to have two illegal monitor lizards inside. The lizards showed up on the airport’s x-ray machine. The reptiles were then taken by Wildlife Monitoring Team along with the PNP-Aviation Security. The monitor lizards were turned over to Crocodile Park which is an accredited rescue centre in the Davao City region.